Swami Vivekananda Cultural Centre (formerly Indian Cultural Centre) was established in Colombo in 1998, with the aim of building bridges of cultural exchange and interaction between India & Sri Lanka. The Centre is one of the 24 Indian Cultural Centres established by the Indian Council for Cultural Relations (ICCR) to revive and strengthen cultural relations and mutual understanding between India and other countries and seeks to promote India-Sri Lanka cultural co-operation by building on cultural commonalities and creating an awareness of Indian culture in all its facets. Since its inauguration in 1998, Swami Vivekananda Cultural Centre has firmly established itself on the Sri Lankan cultural scene and earned a reputation for excellence through its wide-ranging multi-faceted activities. The Centre offers classes in Bharatha Natyam, Kathak, Hindustani & Carnatic vocal music, Violin, Sitar, Tabla, Hindi and Yoga. For conducting these classes the Centre draws on a talented and committed group of Sri Lankan teachers. Over time, the Centre has gained tremendous popularity with nearly 1500 students enrolled in the various classes conducted at the Centre. The Centre is also active in organizing performances by Indian and Sri Lankan artistes, lectures/lecture-demonstrations, workshops exhibitions etc. Over the last few years the Centre has organized performances by several well known artistes from India and Sri Lanka, including Smt. Sonal Mansingh, renowned Odissi dance exponent, Kalakshetra dance drama troupe from Chennai, renowned vocalist, Smt. Shubha Mudgal and her troupe, Geetanjali Lal, Rangpuhar Bollywood Dance Ensemble & Shridhar and Anuradha, renowned Bharatha Natyam dance exponents. 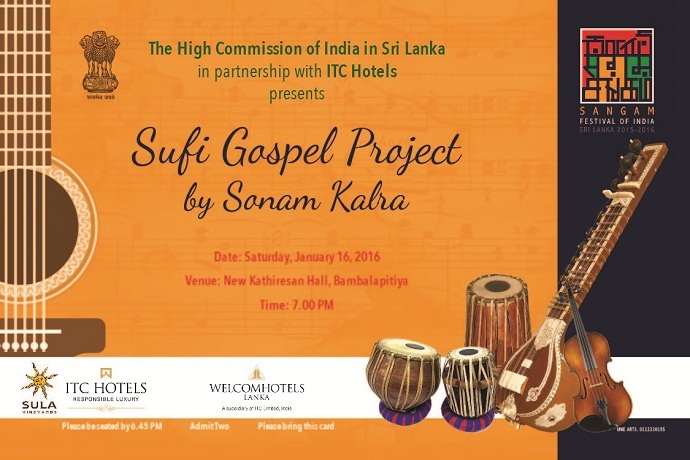 Sri Lankan artistes who have performed at the Swami Vivekananda Cultural Centre includes Dr. Dayaratna Ranatunga & Prof. Amara Ranatunga, Mr. Pradeep Ratnayake, Mr. Piyasara Shilpadhipathi, Mr. Ravibandhu Vidyapathi and Kandyan dancer Ms. Upeka Chitrasena and others from Chitrasena Dance Company. The Centre also screens 4-5 Indian films and documentaries every month. The Centre also maintains a well equipped library and reading room with a large collection of books, newspapers, periodicals, CDs and DVDS. The library is open to the public Monday to Saturday, except Wednesdays. The reading room, which is open to the public Monday to Saturday has Indian and Sri Lankan newspapers (Sinhala, Tamil and English) and Indian periodicals, magazines and journals in English and Indian Languages (Malayalam, Hindi, Telegu and Tamil). and is well connected to the public transport.